Home of the Ancients - Upper Egypt is the key location in Egyptian tours, having the most Ancient Temples and Tombs famous in ancient Egyptian history. LUXOR, Egypt therefore, is home to the majority of sites both on the East Bank and West Bank of the the beautiful River Nile. However, there are many additional tours available away from the main sites and are offered with an expert Luxor tour guides. 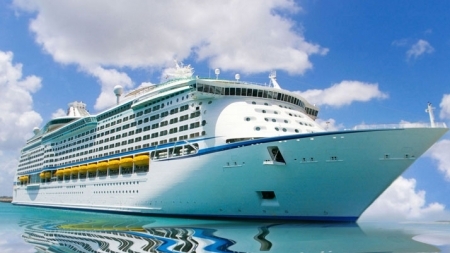 Explore all of your options below . 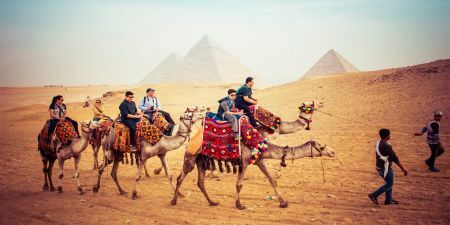 Fully packed and fascinating day tour to the capital Cairo from Luxor on this great Day Trip from Luxor to Cairo by flight. A fun filled and informative excursion visiting the Ancient Pyramids at Giza, the Sphinx, Egyptian Museum of Antiquities, Old Coptic Cairo and a delightful insight and shopping spree at the Old famous Khan El Khalili Bazaar. 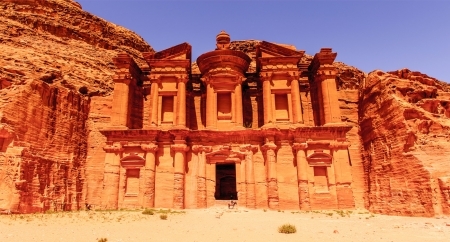 Have a fantastic trip to Sakkara, Memphis and then to the famous Giza Plateau. On the second day we hope you enjoy your leisurely free time in Cairo with a tour to the Museum of Egyptian Antiques , the Citadel of Saladin then visit the Christian heritage in Coptic Cairo. A fascinating insight into the amazing City of Luxor (the old Ancient Capital known as Thebes) and a continuation of Pharaonic wonders after Cairo. 5 days in Upper Egypt on the Nile Cruise Boat gives you the opportunity to visit Karnak Temple, Luxor Temple, Valley of the Kings, the Temple of Queen Hatshepsut at El Deir EL Bahari and the Colossi of Memnon before moving along the Nile stopping at Edfu Temple and Kom Ombo Temple until reaching Aswan and it’s Nubian culture and History including Aswan High Dam, Philae Temple and the Unfinished Obelisk, all included in your itinerary. A perfect way to discover famous Luxor (known as the Egyptian Museum) in this tour from Luxor to the two ancient Temples of Karnak and Luxor. Its original location of the Ancient capital of Thebes with the largest Temple of Karnak, originally connecting to Luxor Temple via the ‘Avenue of Sphinx’. 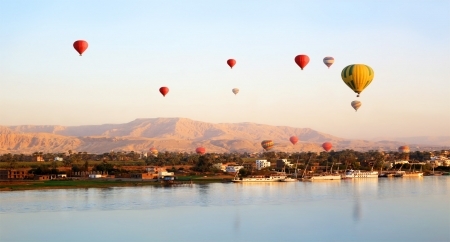 A spectacular early morning sunrise adventure in this hot air balloon ride over Luxor with breathtaking views over the Valley of the Kings. 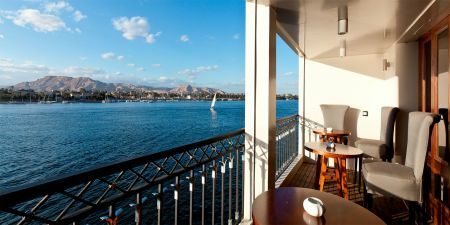 The best way to visually see the spectacular Valley of the Kings, Nile River and Delta, and the City of Luxor in all its morning glory at sunrise. Not to be missed! Such an in depth and fascinating insight on this tour from Luxor to the Valley of the kings and Queen Hatshepsut’s Temple and into the ‘real’ and original burial chambers, Tombs and Temples on the West Bank of the River Nile in Luxor. Discovered by the British Archaeologist Howard Carter, the Tomb of Tutankhamun lay here. Visit the incredible Statues of Memnon, Valley of the Kings and Hatshepsut’s inspiring temple on informative day tour. A full and enthralling day of discovery in this wonderful Luxor tour of the East and West Banks of the Nile. 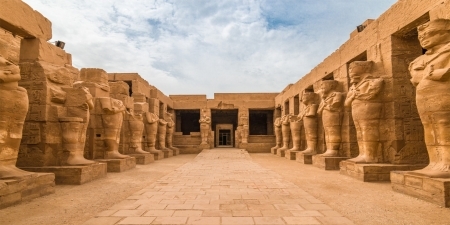 An informative insight into the original home of the Old Capital Thebes with your guided tours of Karnak and Luxor Temples, Valley of the Kings, Queen Hatshepsut’s Temple and the Colossi of Memnon. A delightful tour by road from Luxor to Dendera and Abydos to visit 2 totally contrasting Temples, not always visited as much as the sights of Luxor. The Horus Temple at Dendera ( in honour of the wife of Hathor), and Abydos Temple,the Head of the God Osiris of the Underworld.